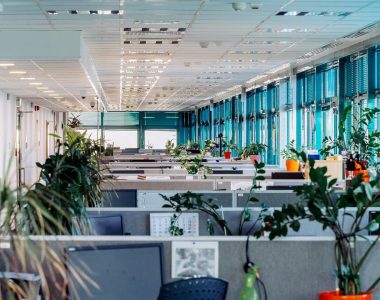 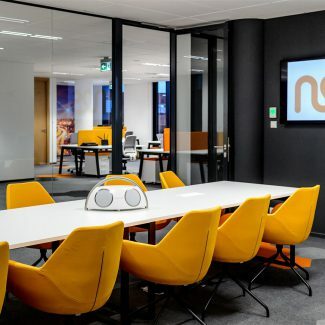 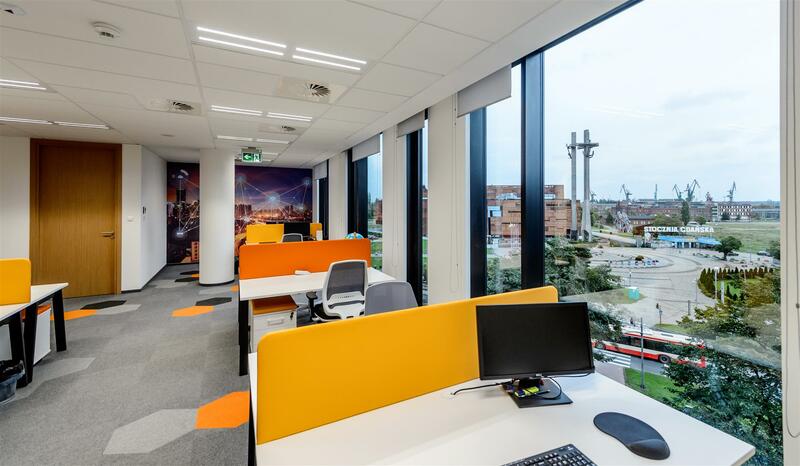 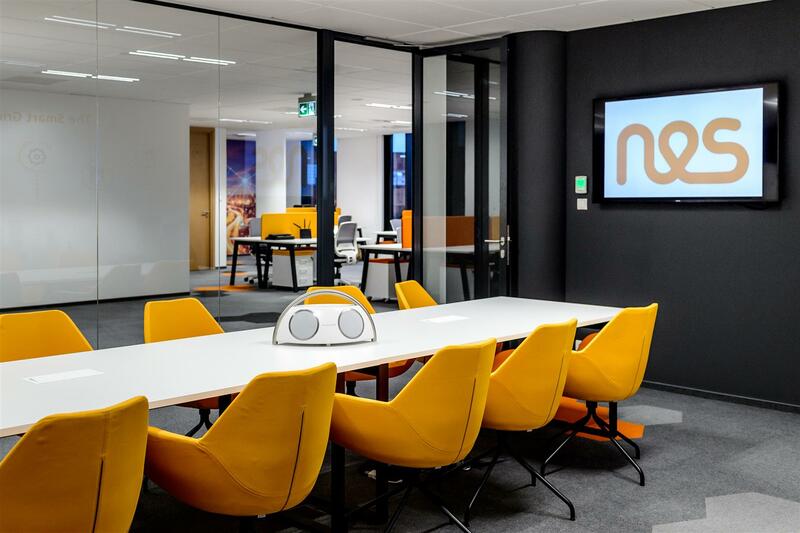 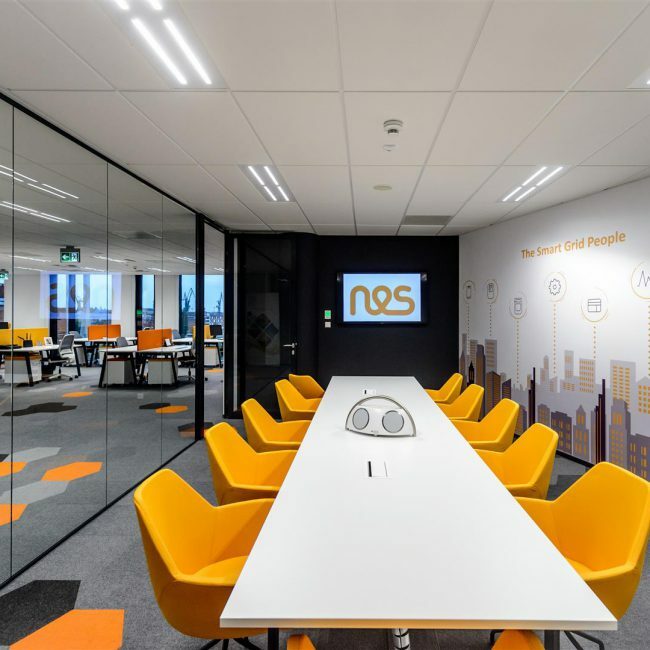 The area of ​​the NES office is 260 sq m. It consists of an energetic open space, full of color social space combined with a kitchen and several rooms and small rooms for telephone conversations. 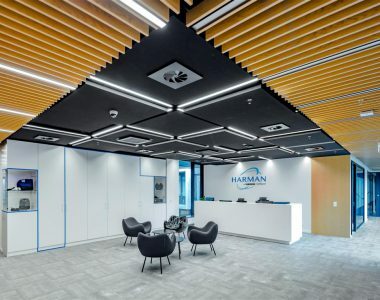 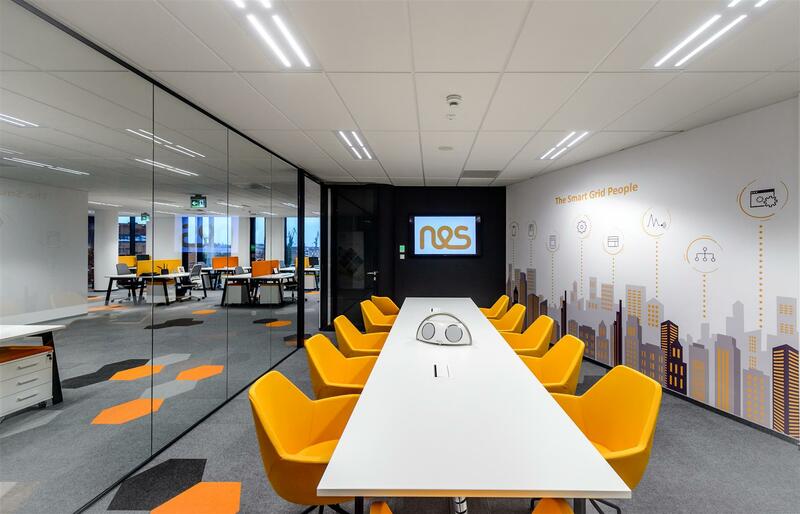 The design of the office was to identify strongly with the company and its logo. 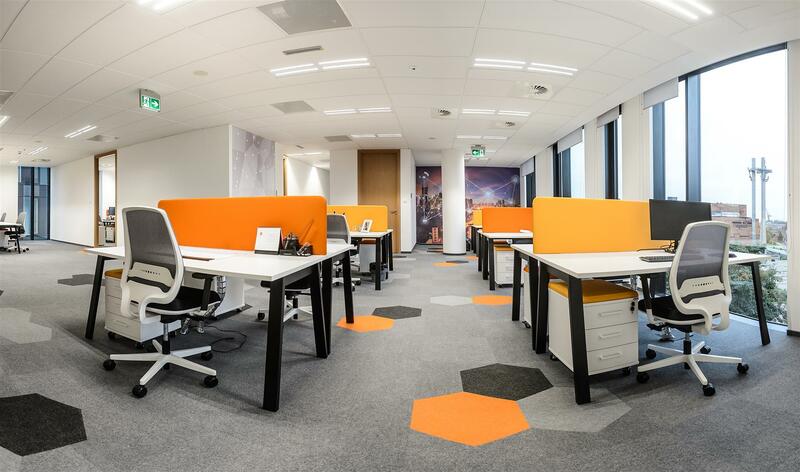 That’s why orange, white and gray are dominating colours of walls, carpets and finishing elements. 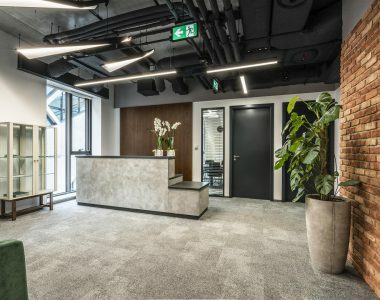 A fashionable use of the gray colour in the material is concrete. 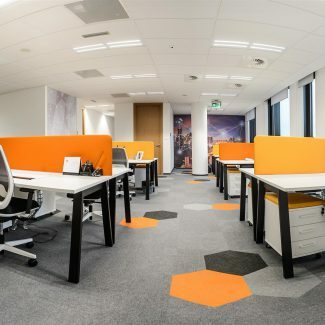 The customer wanted the new office to be lively, full of positive energy. 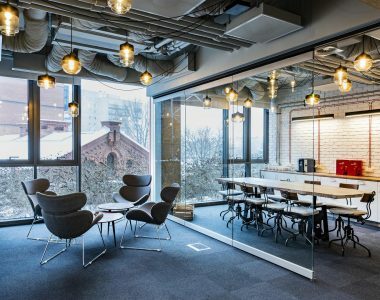 It is supposed to attract young engineers with its unique design and stimulate integration and exchange of ideas among team members. 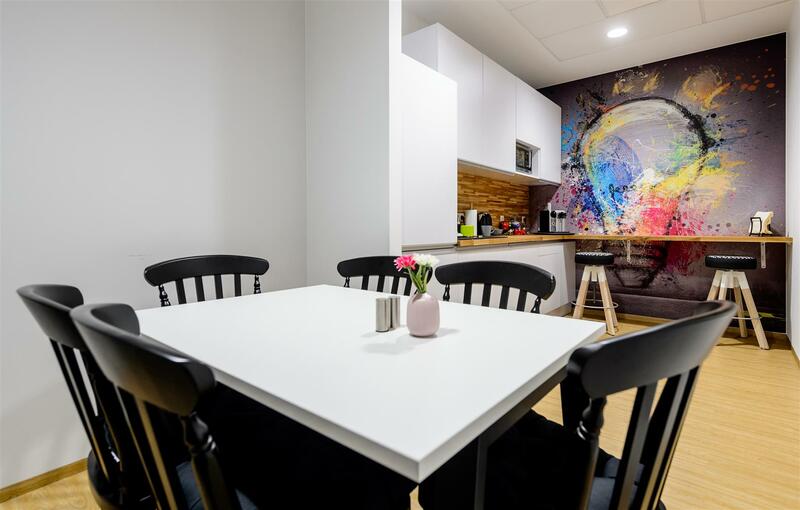 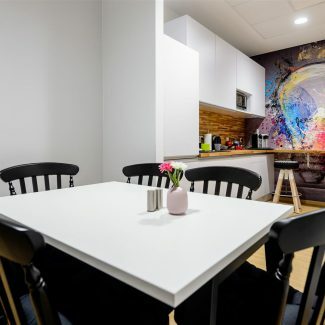 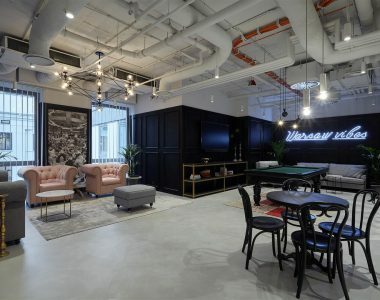 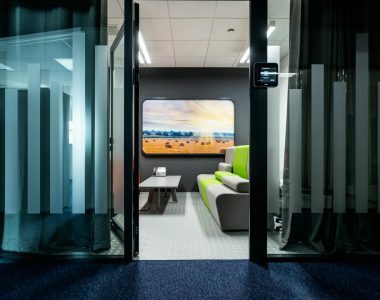 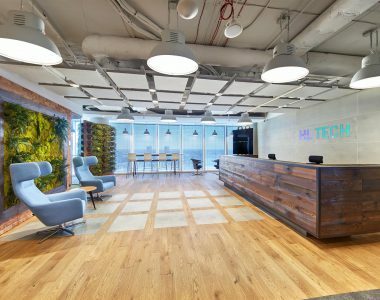 A reflection of this approach is the social space combined with the kitchen, which is decorated with a colorfull wall mural depicting a light bulb, referring to the specifics of the company.